NEPAL. Kathmandu. 2006. 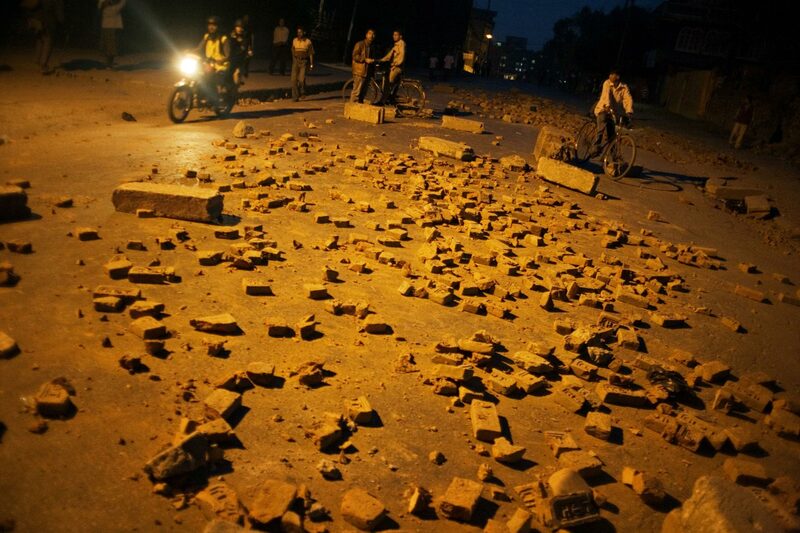 Debris of bricks and stones left after rioting protesters in the Chabahil neighborhood.